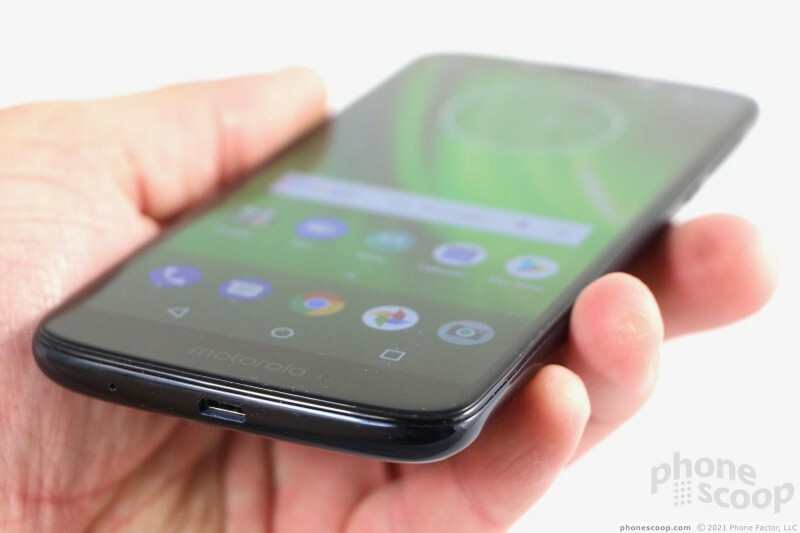 The Moto G6 Play from Motorola is a low-cost device with a big screen and a big battery. It has an attractive design with mostly entry-level specs. 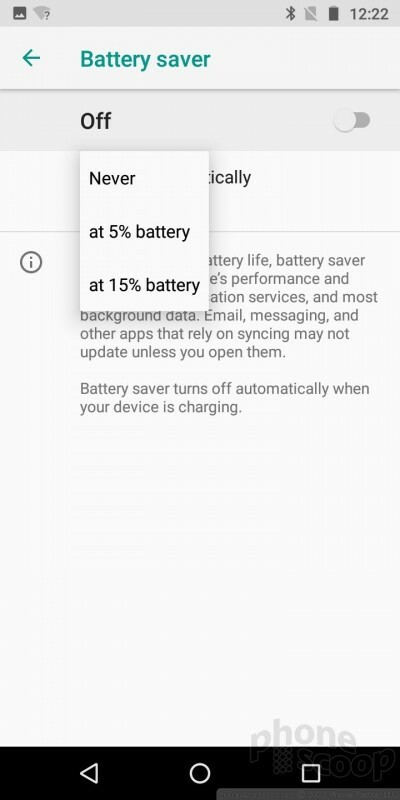 If you prioritize battery life over speed and other advanced features, the Moto G6 Play has you covered and then some. Find out more in Phone Scoop's in-depth review. 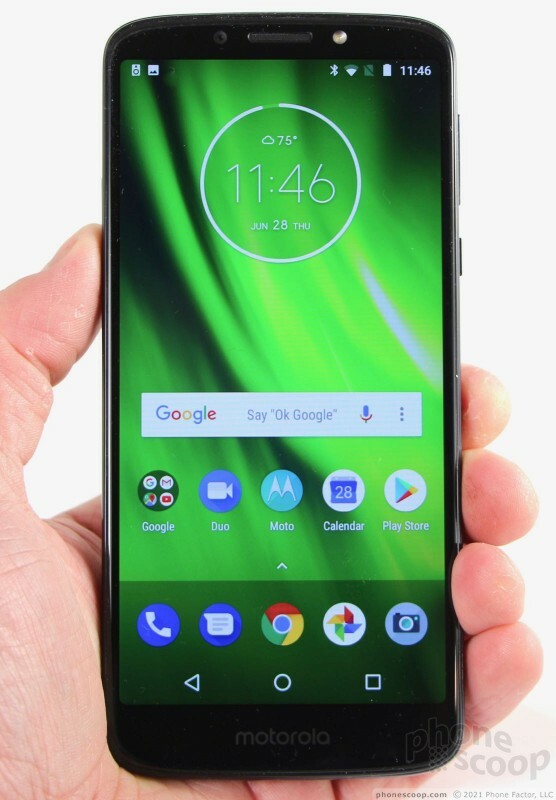 The Moto G6 Play is a low-cost Android phone that includes a big screen and an even bigger battery. The G6 Play is ideal for novice or young users who don't want or need a full-powered device, or for anyone who wants the most battery bang for the buck. 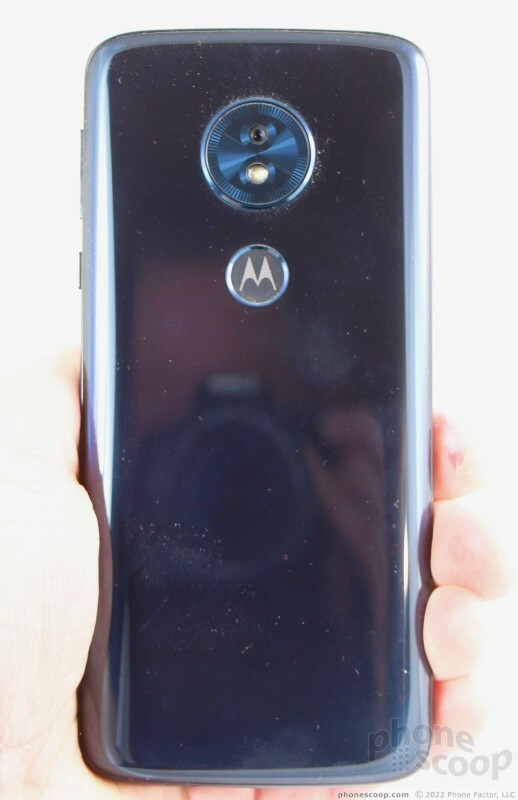 The G6 Play is similar to both the Moto G6 and the Moto E5 Play. It has a similar design, but dials back the specs in order to drop the price point. 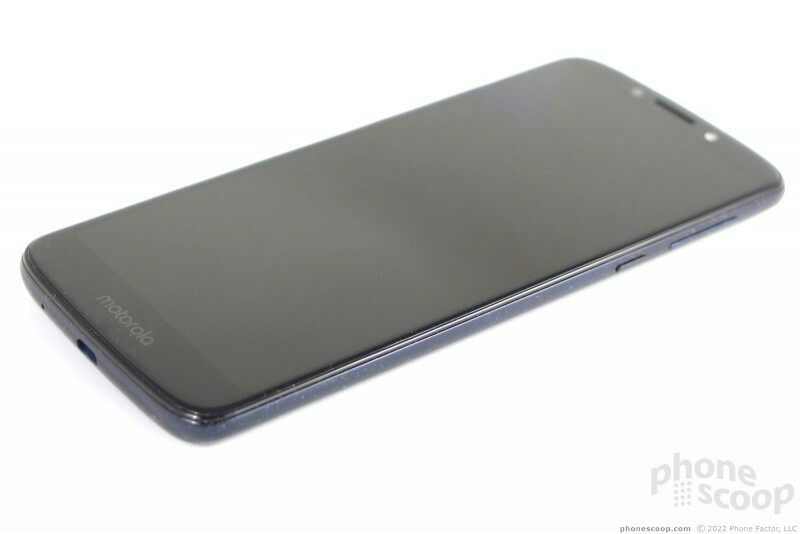 The G6 Play features a glass front and a plastic back that sandwich a metal frame. The frame is rather beefy and swells just a bit along the top and bottom edges. 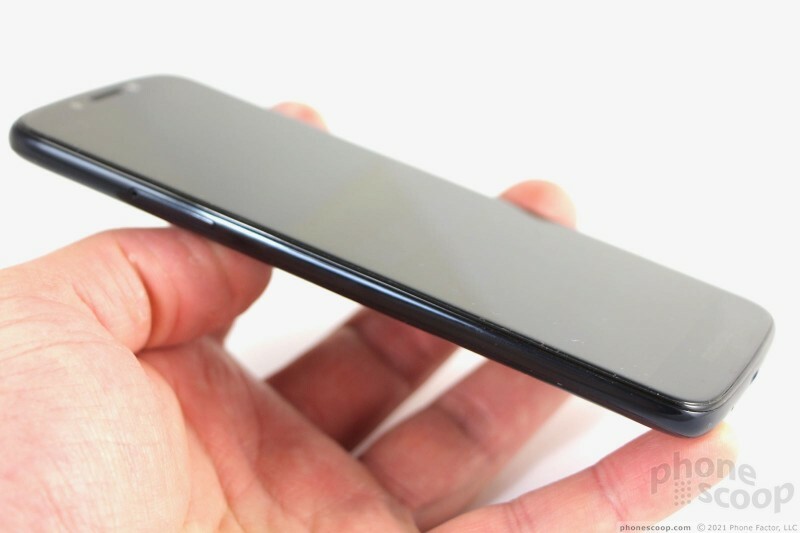 The rear panel is curved steeply along the edges, while the front 2.5D glass is more refined in its shape. 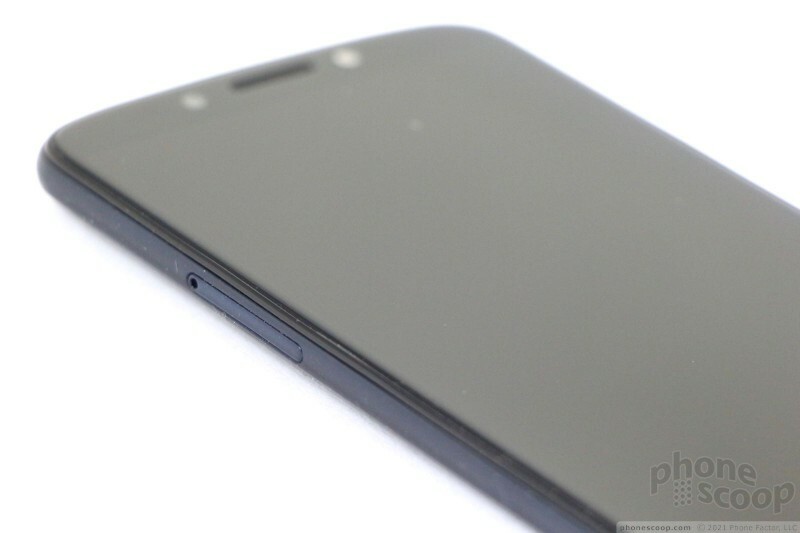 The phone has what I'd call Motorola's typical rounded footprint as far as the corners go. 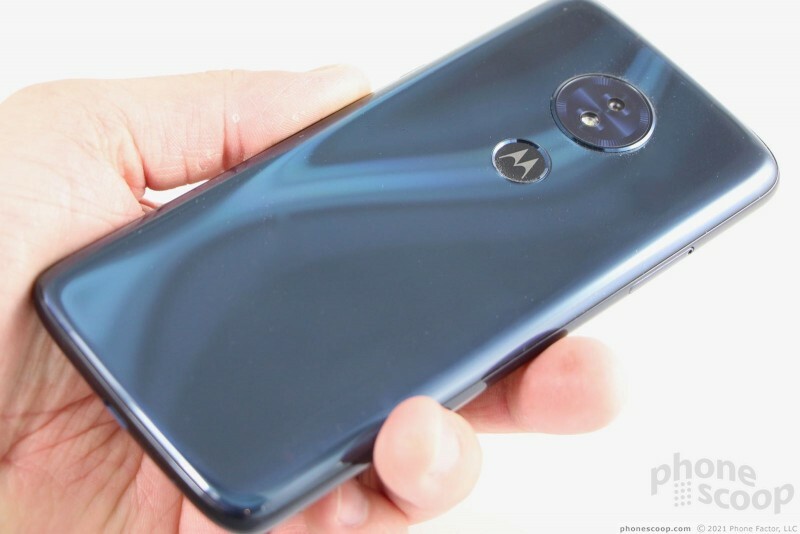 The Moto G6 Play comes in only one color: indigo blue. It's a deep, changing color that's enhanced by shimmering paint on the rear surface. 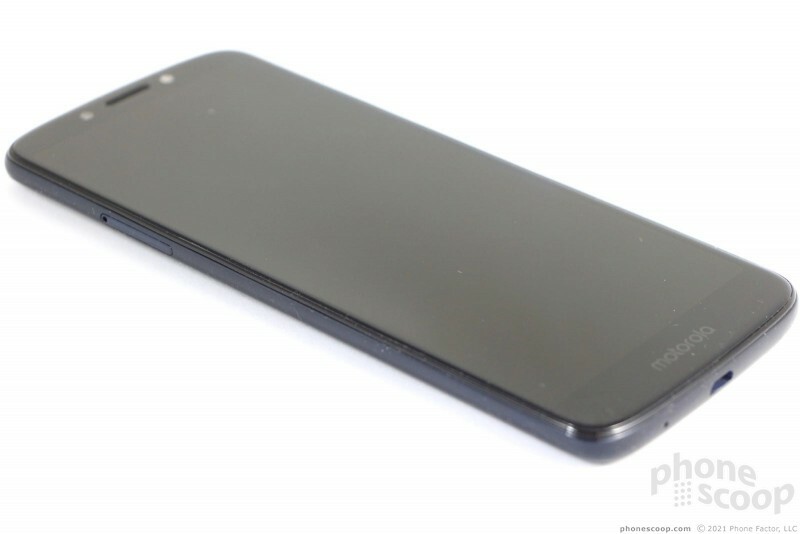 I like it, but the G6 Play collects fingerprints on the back as if that were its job. The smudges mar the intended effect of the reflective paint. Also, it's slippery as hell. I wish the frame didn't have so much black paint on it, as it obscures the metal underneath. 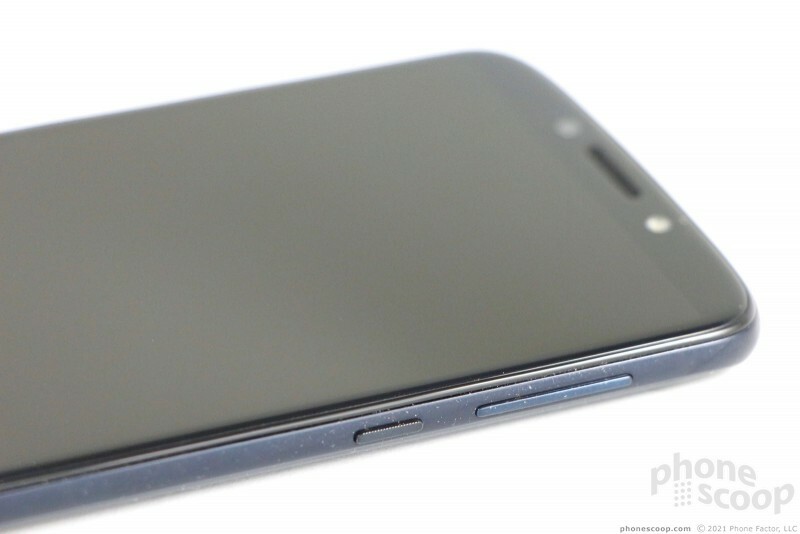 The G6 Play has a 2:1 screen shape. This means the phone is fairly tall and reasonably narrow. It stands 6.11 inches high and sits 2.85 inches wide. It's a sizeable footprint and yet I found the phone easy to manage. It doesn't come off as too big. Young kids with the smallest hands will probably have trouble, but most everyone else should be fine. The G6 Play slips into pockets easily, though it is heavy enough that it constantly reminded me it was there as I walked around. The G6 Play feels good for a plastic phone. When I held the G6 Play and the G6 side by side, there's no question the G6 Play ratchets the quality down a notch. The materials aren't quite as impressive. 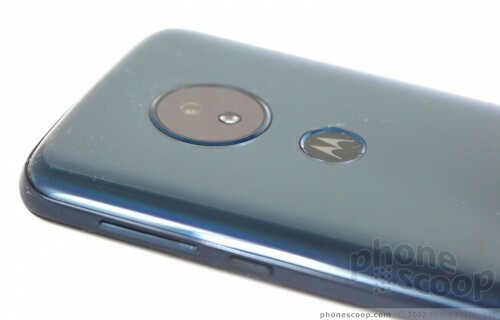 That said, the phone looks and feels like it should cost way more than Motorola is charging. The glass and plastic panels, and the metal frame are fitted together well and there are no gaps in any of the seams. 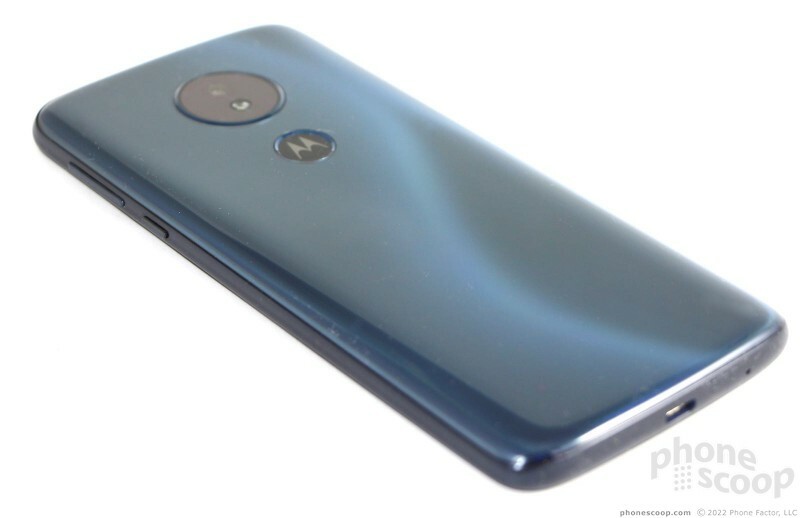 The G6 Play, like many Motorola phones, is not really waterproof. 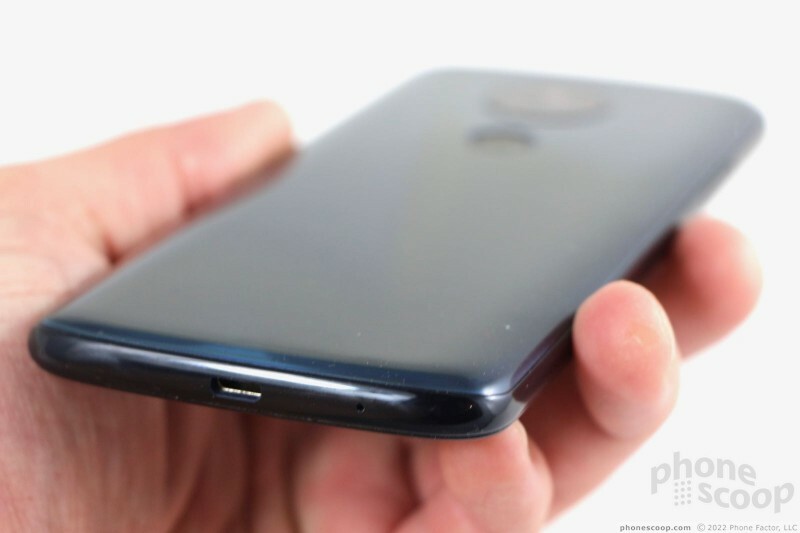 Motorola covered the internal components with a splash-proof nano-coating to prevent short-circuiting. It can handle sweat and light rain, but not a deep dive in the pool. 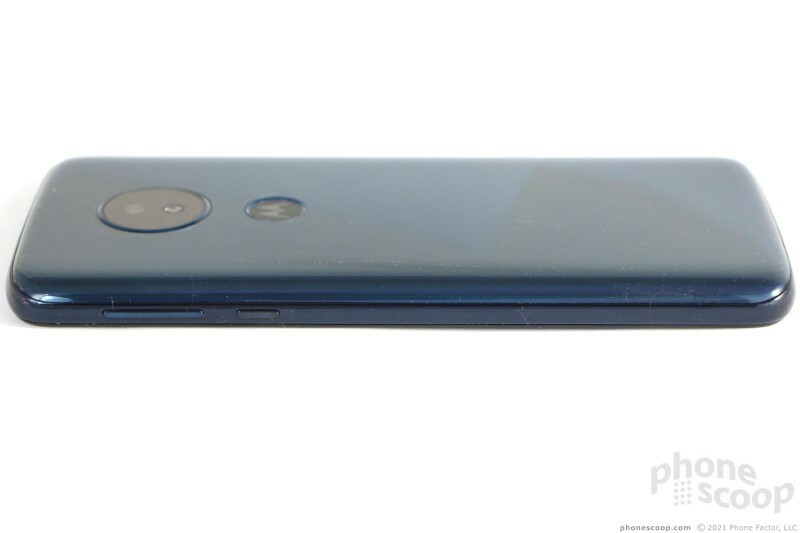 The phone's face has the look common to those with 2:1 screens. 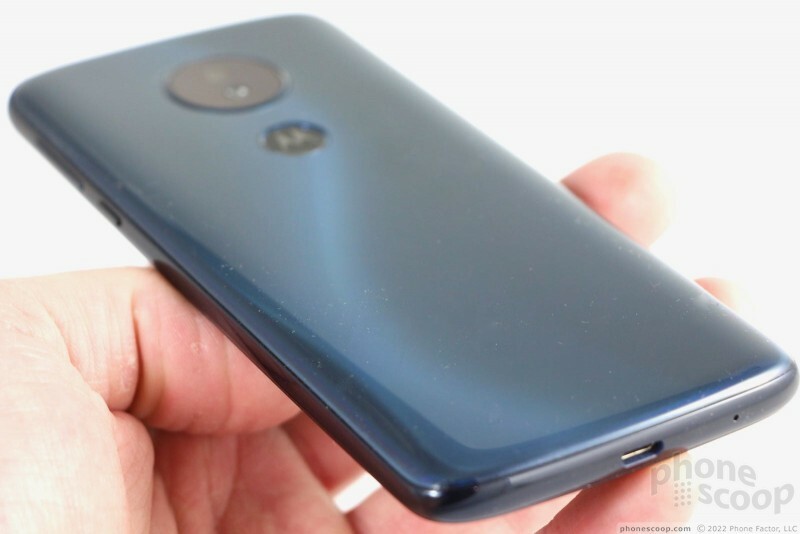 The G6 Play still has a bit of a forehead and chin, but I give Motorola credit for trimming the bezels to acceptable thicknesses. The volume and lock buttons are located on the right edge of the G6 Play. The lock key is really small and has a ridged texture to help make it stand out. It has good travel and feedback. The volume toggle is also fairly small. It feels a bit mushy. The SIM tray is tucked into the left edge and pops out easily with the help of a SIM tool. It also supports memory cards. Motorola likely opted for microUSB rather than USB-C on the G6 Play to keep costs down. 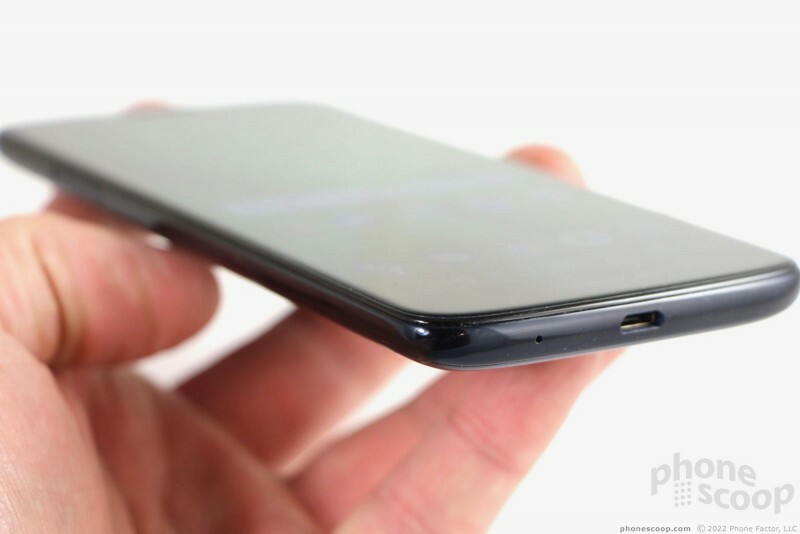 The USB port is on the bottom edge, while the 3.5mm headphone jack is on top. The rear is a single, smooth panel with rounded curves along the sides. 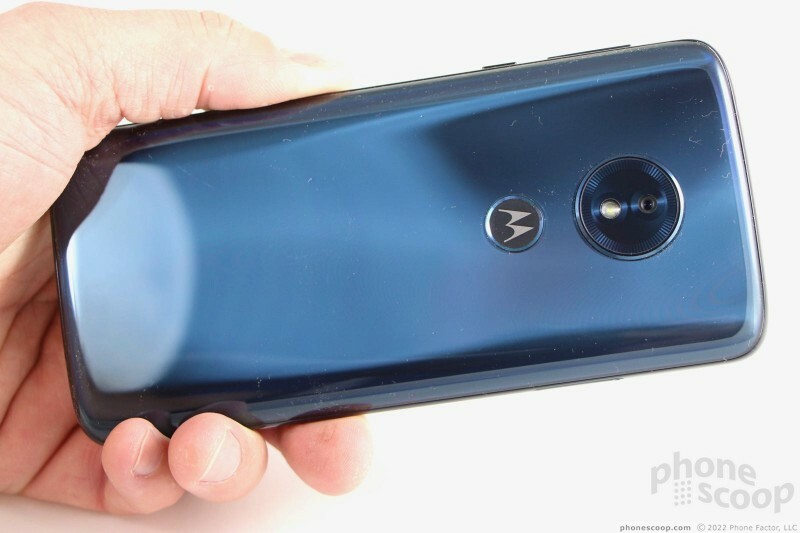 The fingerprint reader is positioned just below the camera and features the Motorola logo. The reader is recessed, which makes it easy to find by feel. The rear panel cannot be removed and neither can the battery. The G6 Play may not be quite as refined as the G6, but it totally outguns other phones in its class. 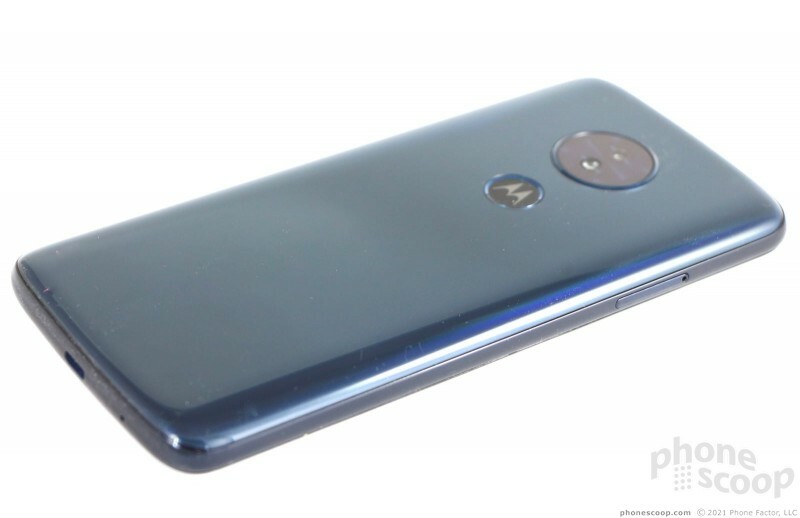 Nothing else at this price point looks or feels as good as the G6 Play. 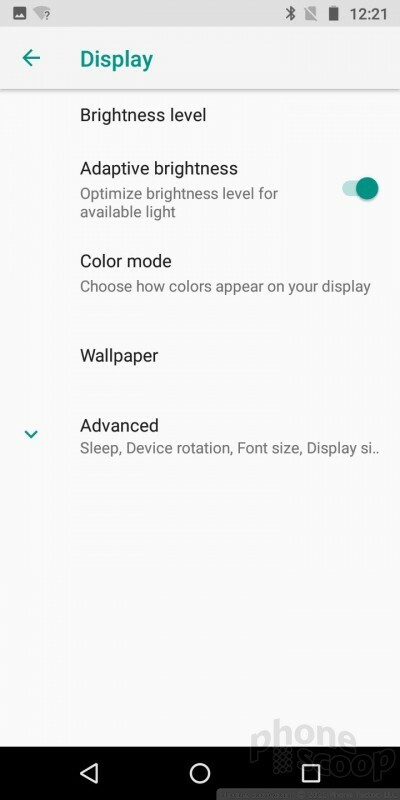 The Moto G6 Play's screen measures 5.7 inches across the diagonal with HD+ (1,440 x 720) resolution. It's an LCD display with a pixel density of about 282ppi, which is low-ish for a modern phone, but not unreasonable considering the price. The G6 Play puts out enough light; I was able to use the phone under sunny skies with no problem. Viewing angles aren't great, but colors are accurate. I think anyone buying a phone at this price point will be pleased with the experience. 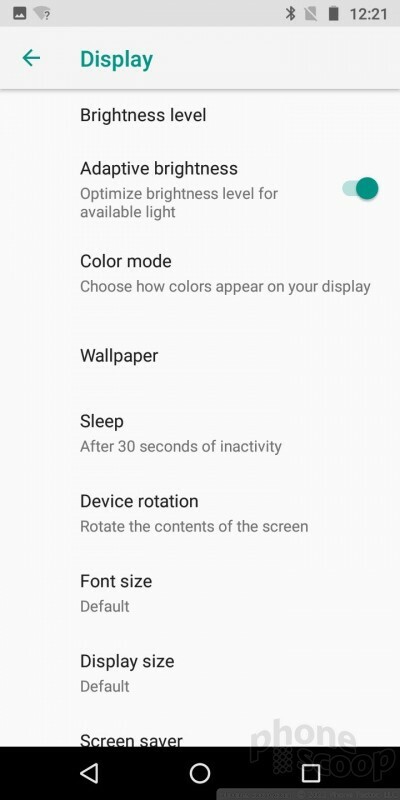 Motorola's software allows you to tweak the display's color profile to suit your own tastes, and, like most newer phones, there's an optional blue light "filter" mode to reduce eye strain at night. 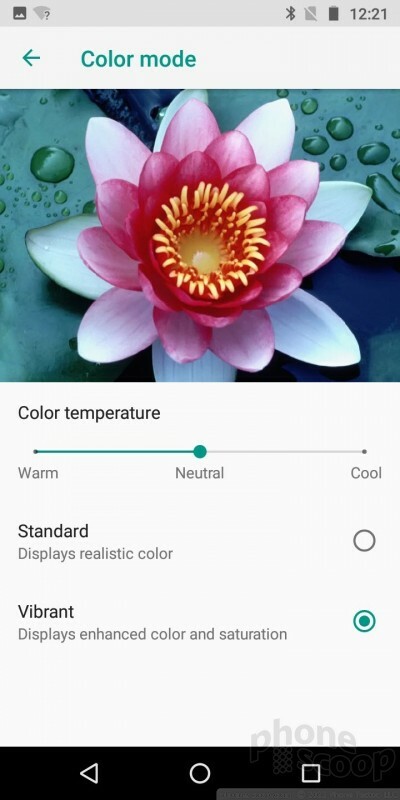 The Moto G6 Play has excellent support for most U.S. wireless networks. You can buy an unlocked version and take advantage of some newer LTE bands deployed by AT&T (29 and 30) and T-Mobile (66). These extra bands can give you better service on congested networks. 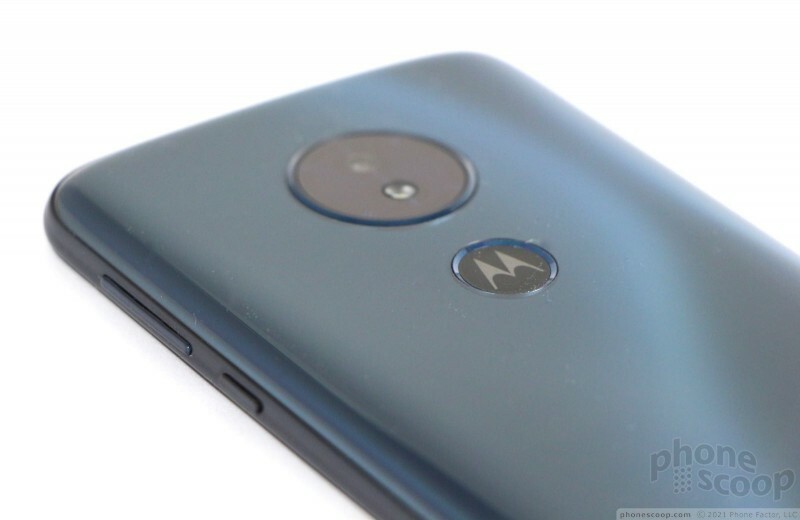 Motorola says the phone is certified to run on Sprint/Boost, T-Mobile, and Verizon. I tested it on AT&T and Verizon. The G6 Play connected to AT&T and Verizon without trouble. The phone managed to patch calls on the first attempt under poor conditions and maintained those connections in moving cars. Call performance is on par with branded AT&T and Verizon phones. The phone relies on a Cat 6 LTE modem, which limits its raw data speeds somewhat. The G6 Play is more than capable for standard data needs without interruption. I encountered some slowness and stuttering when I tried to stream HD / high-quality content from the likes of YouTube and Spotify. Bottom line, the phone did very well on the nation's biggest networks. Motorola relies on a single speaker up top to handle both regular calls and speakerphone duty. It delivers mixed results. The quality of voice calls when the G6 Play is used as a regular phone is acceptable at best. Calls are mostly clean, though distortion pops up now and again. The volume output is fine for calls at home or the office. Outdoor environments like city streets will likely overwhelm the earpiece. Those I spoke to via the G6 Play said I sounded just okay. The speakerphone delivers more punch. It's loud enough to handle calls at home, in the office, in the car, and even city streets. Clarity is up and down, with some distortion evident when set to the highest levels. The vibrate alert is pretty good, and ringers should get your attention most of the time. 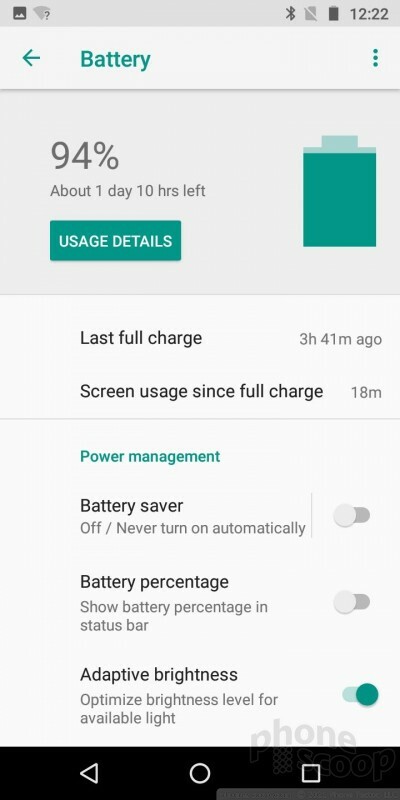 The G6 Play is a battery powerhouse. Motorola crammed a 4,000mAh battery into the phone, and it delivers huge performance. The phone routinely pushed through 1.5 days, and sometimes almost 2 days. That's far more than most competing devices, especially at this price point. You can't ask for better. 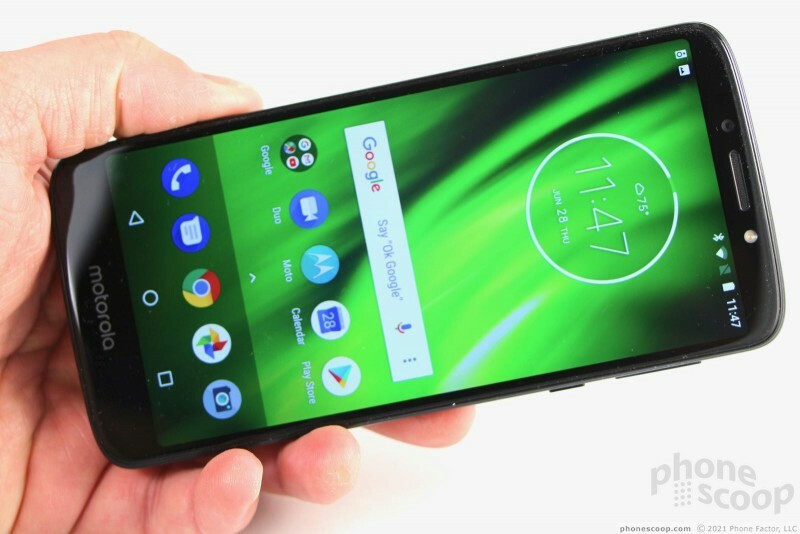 The Moto G6 Play does not support wireless charging but it can handle rapid power-ups with the included wall charger. 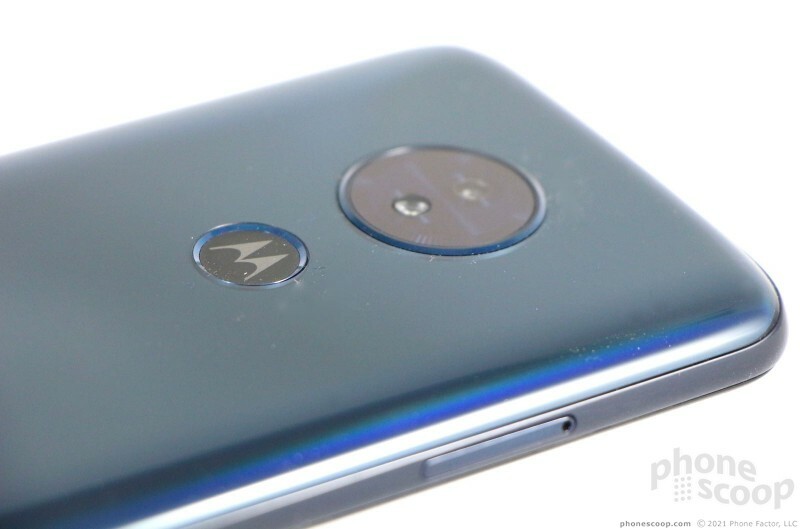 Motorola calls its charging tech TurboPower. The G6 Play has a Bluetooth 4.2 radio and it does a fine job. The phone connected seamlessly to speakers and headphones. I was able to pass calls through a headset without issue and call quality was average. Music didn't impress me much when I streamed it to a Bluetooth speaker thanks to some cut outs and drops. The phone wouldn't connect to my car at all, which was frustrating. Google Maps and the GPS radio worked well together. The phone put me on the map in just about the right spot and kept up as I moved around. Real-time navigation worked as it should. The G6 Play does not include NFC. The Wi-Fi radio was a great help when downloading apps or streaming Netflix at home. If you have a pair of regular, wired headphones available you can put the FM radio to use. It works well for tuning in your local stations. Sitting in the middle of Motorola's new lineup of affordable Android phones are the Moto e5 Plus and g6 Play. In spite of their odd naming, they share the same design and features.